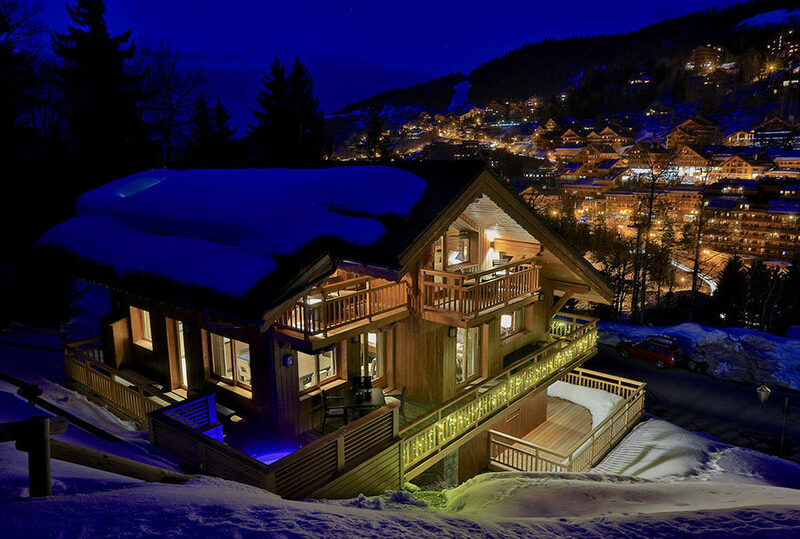 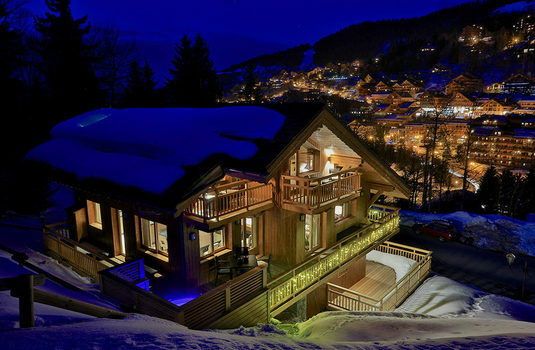 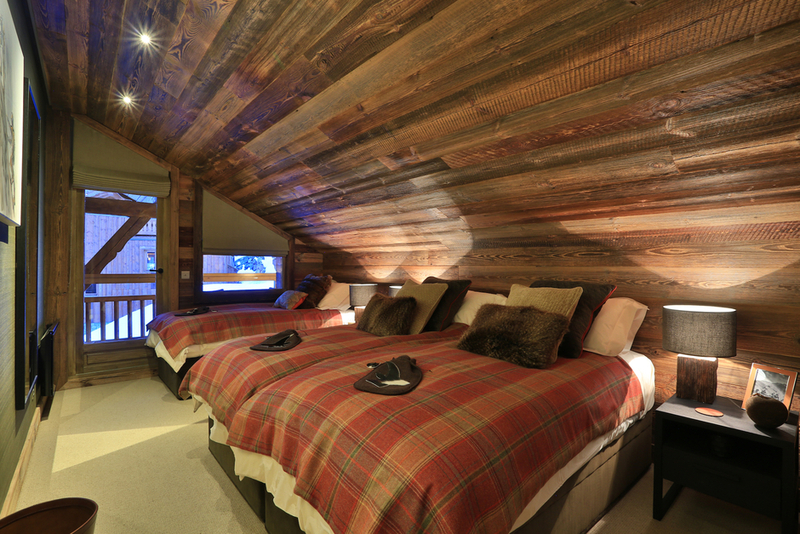 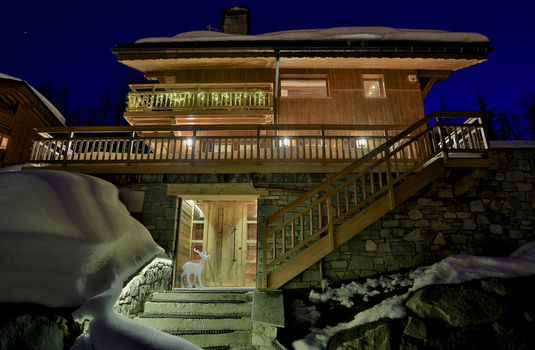 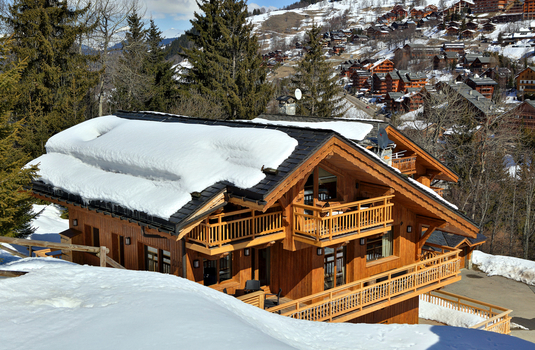 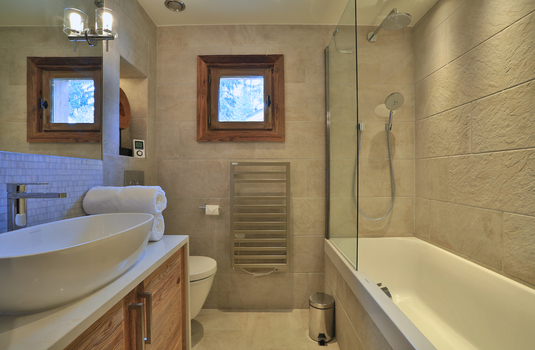 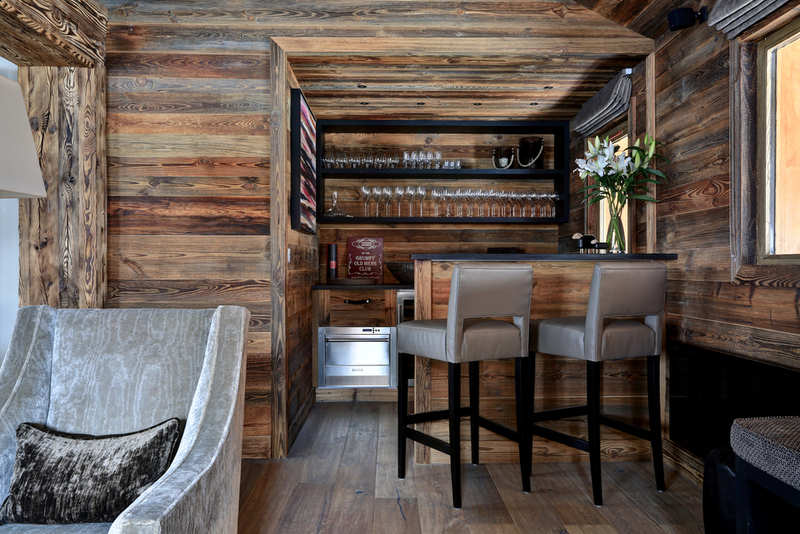 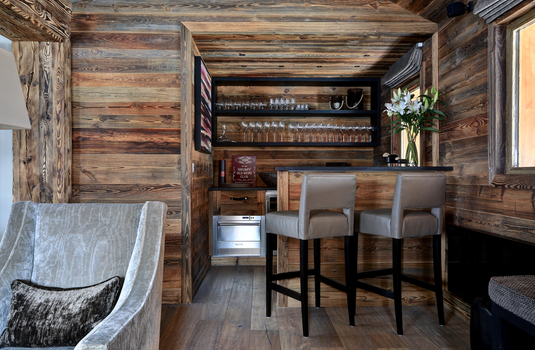 Chalet Carcajou has been recently renovated and offers guest a luxurious haven from which to explore the world famous Les Trois Vallees ski area. 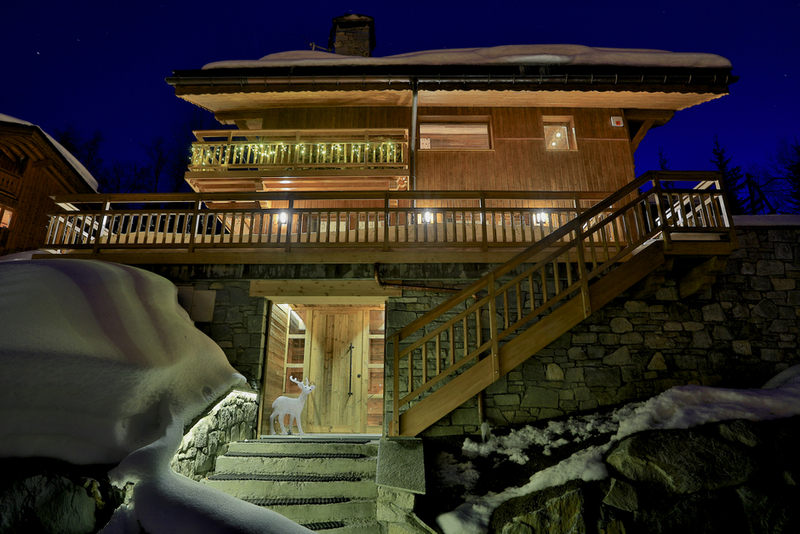 Located in the exclusive ‘Dou de Pont’ area its position is tranquil, yet just a short distance to Meribel centre and the main lift station at La Chaudanne. 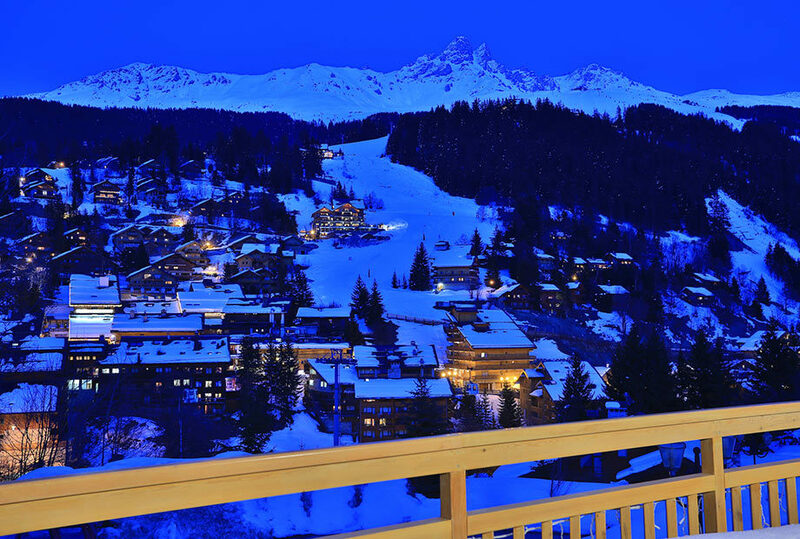 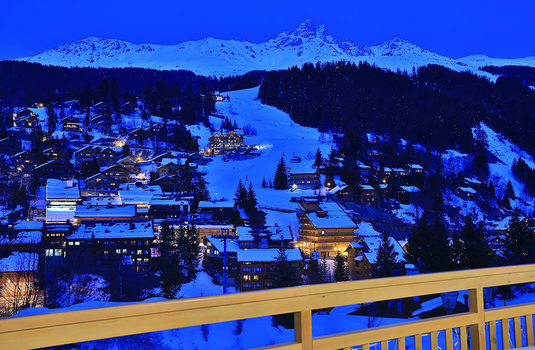 With spectacular views across to Meribel and the backdrop of the Sauliere peaks ensures that guests will enjoy its fantastic location. 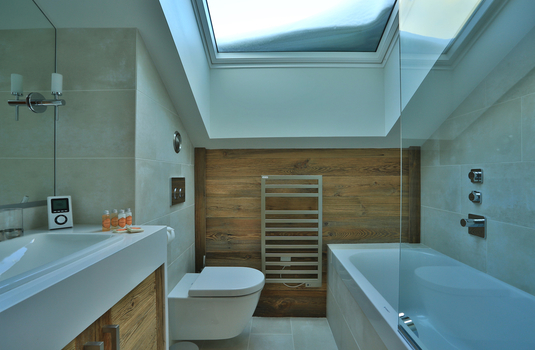 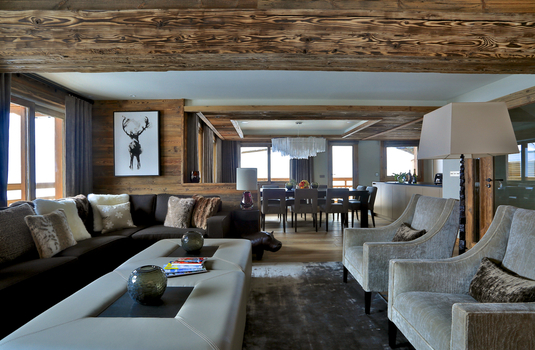 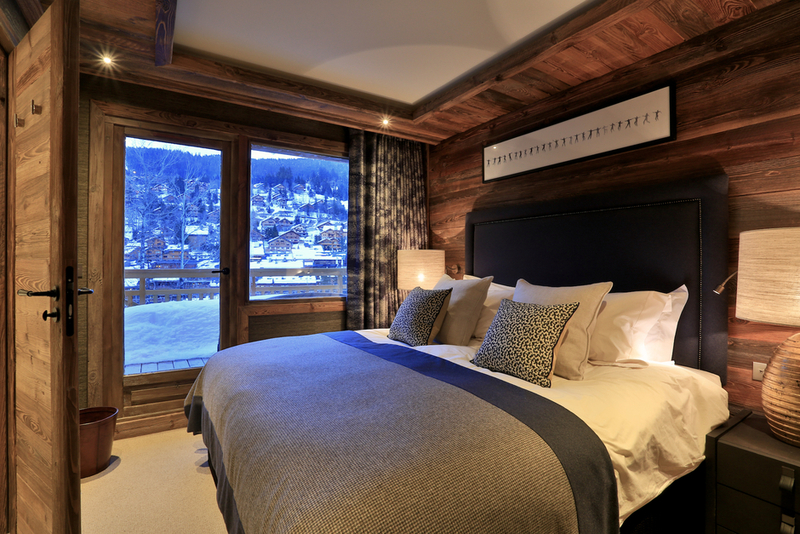 The elegant interior is decorated in beautiful fabrics and combined with a more traditional with alpine style. 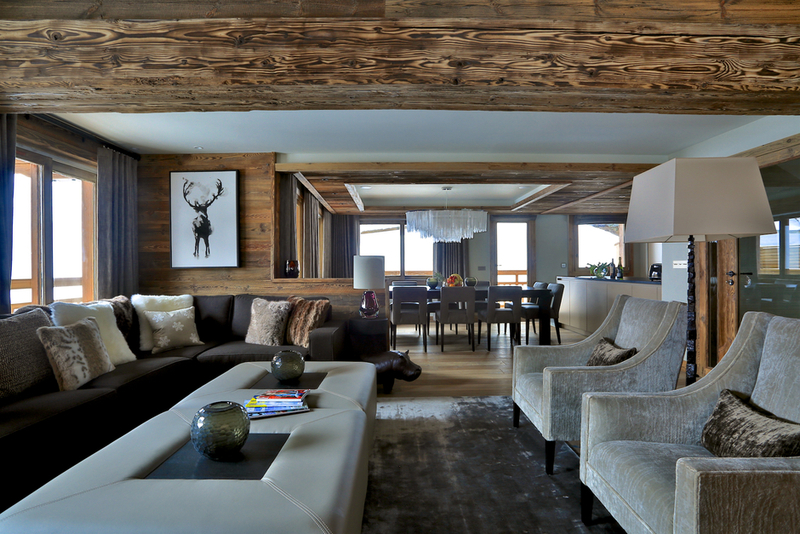 The spacious sitting room offers plenty of comfortable seating in front of the log fire place where guests can relax and enjoy pre dinner drinks served from the bar area. 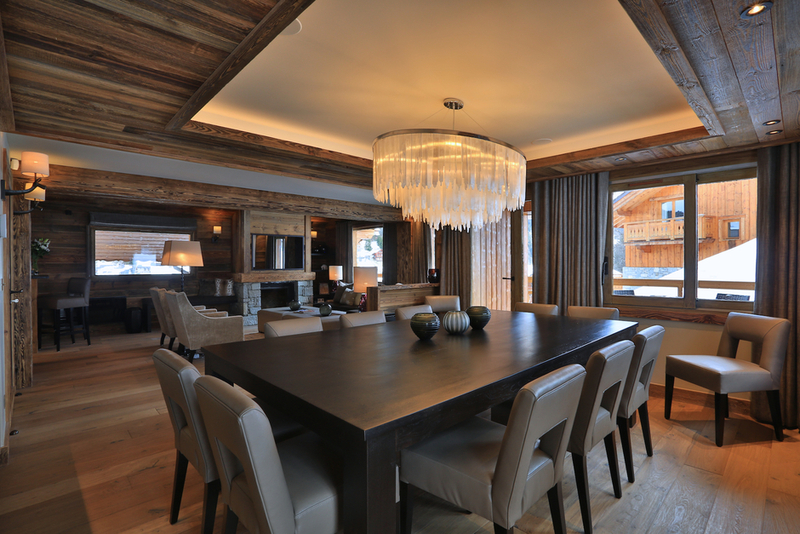 Leading off the sitting room there is a large dining area where guests can look forward to delicious meals served by your own Ski Cuisine chef and host. From the dining area, doors access the terrace which surrounds the chalet where you can take in the fabulous views across the Meribel valley. 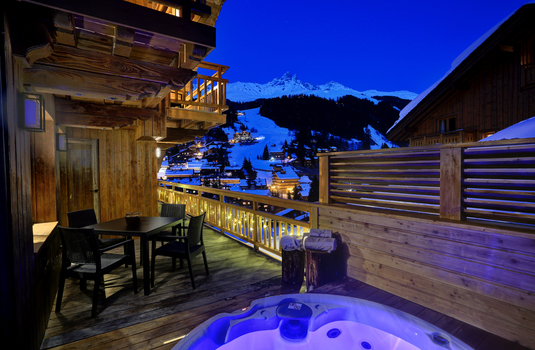 Guests can unwind in the sunken hot tub and enjoy a well-earned aperitif after a day on the slopes and watch the sun go down over the mountain tops. The five en-suite bedrooms are beautifully appointed and each is decorated with their own individual style. 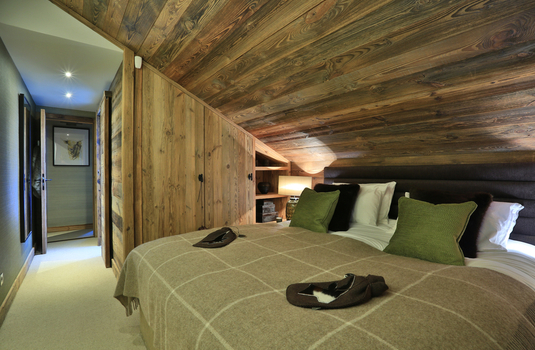 Stylish yet cosy, you can be sure of feeling rested and relaxed in your beautiful bedroom. 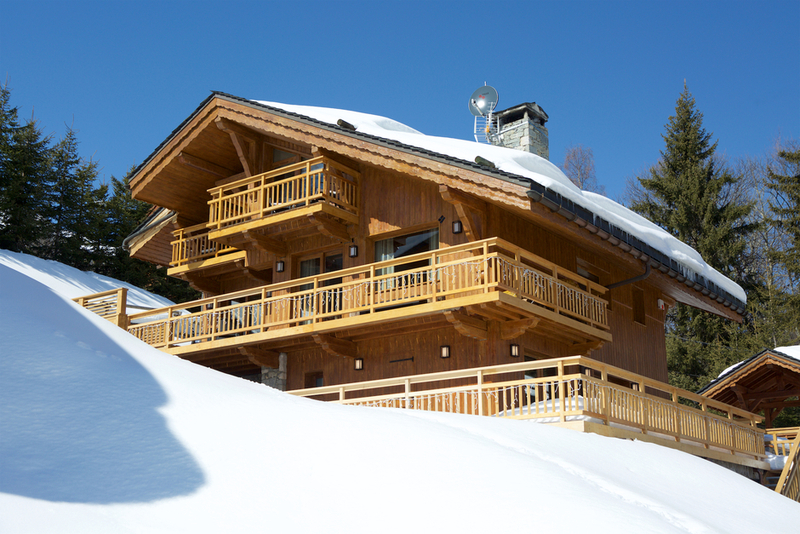 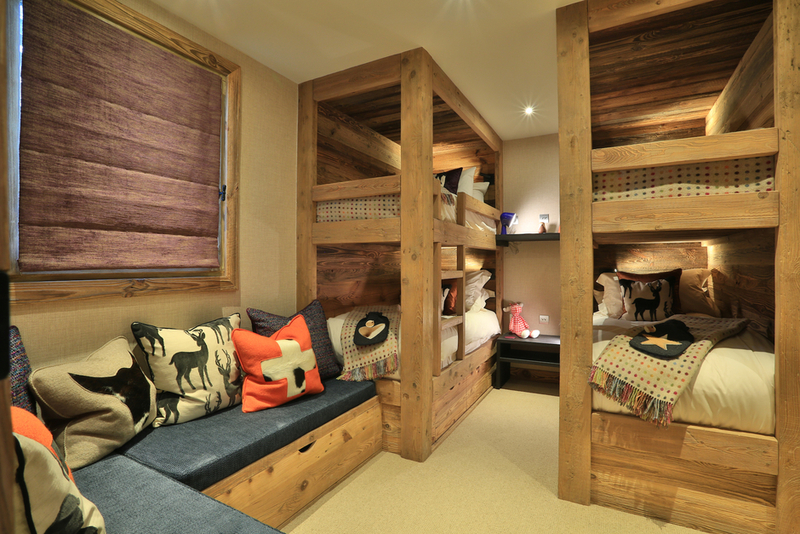 There is also a large ski room with heated boot driers, a delightful children’s games room and for those who feel the need to relax the chalet has its own massage room and sauna.